The Washington County Farmers’ Market Trail is a project of the Maine Federation of Farmers’ Markets, linking together the 6 farmers’ markets across the county with free, outdoor activities. With markets on various days of the week and spread across the Down East region, it’s not possible to visit more than one or two on a any given day. But plan a market visit and some local outdoor exploration, and you have a fun outing for visitors or locals! We hope to expand the trail to include other regions in the future. Most of Mai ne’s farmers’ markets are run cooperatively by the market members. Therefore each one is unique. This is certainly the case for the the six markets included in the trail: Princeton, Machias, Calais, Lubec, Milbridge, and Eastport. All are situated in beautiful environments, with the latter three on the coast, and the former adjacent to rivers and lakes. 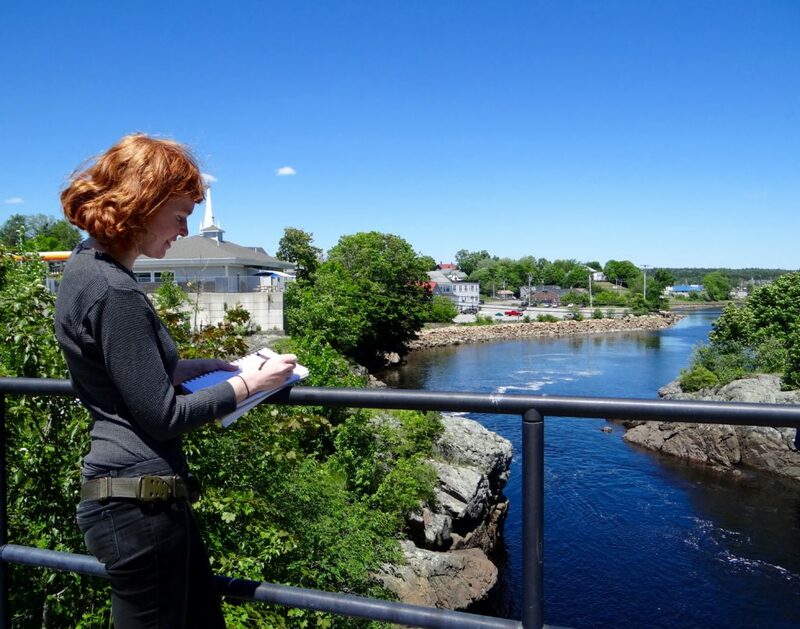 By working with locals and doing some sleuthing on our own, we’ve found some wonderful outdoor activities near each market that will appeal to anyone from the casual visitor with an hour to spare, to families looking for a fun excursion, to tourists wishing to experience some of the hidden gems of Maine. 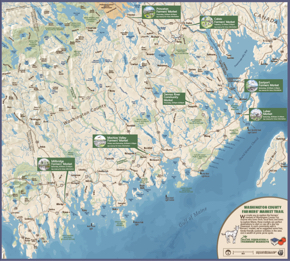 The map was created by cartographer Margot Carpenter of Hartdale Maps, in Belfast, Maine. 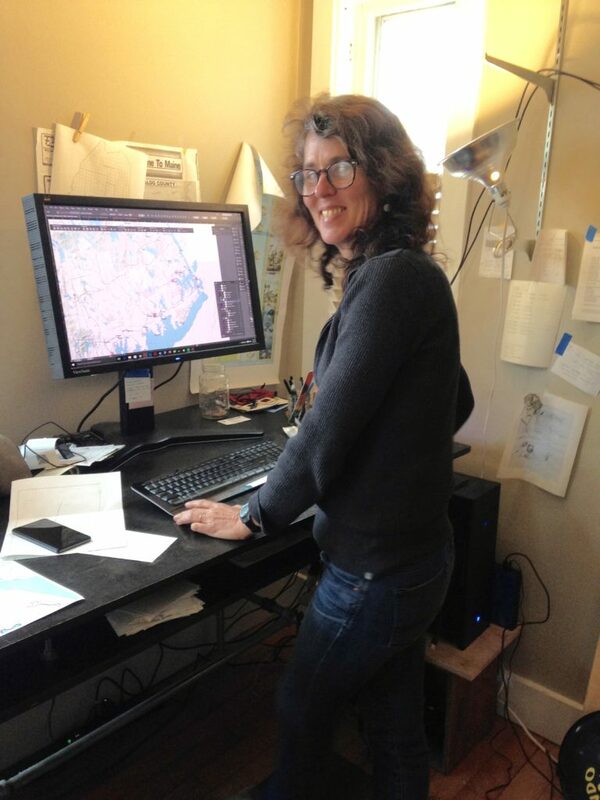 Margot brought not only amazing technical skills to the project, but knowledge of the region and a passion for making Maine’s remote regions more navigable for all. The illustrations were created by Nicole DeBarber, an illustrator specializing in detailed drawings that focus on places where human story and the natural sciences overlap. She is a member of the Beehive Design Collective, a group of artists, organizers, and educators who cross-pollinate the grassroots using intricate, collaboratively made educational posters about ecology and social justice. Nicole used photos of each market, plus her own knowledge of the area, to create original, watercolor illustrations that convey the unique spirit of each of the six markets. August 2016 press release about the trail. We’re pleased to offer printable coloring pages of the Washington County Farmers’ Market Trail markets.